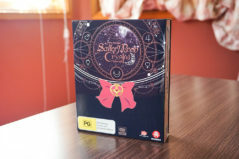 The set comes with 2 bluray discs & 2 DVDs containing 13 episodes. 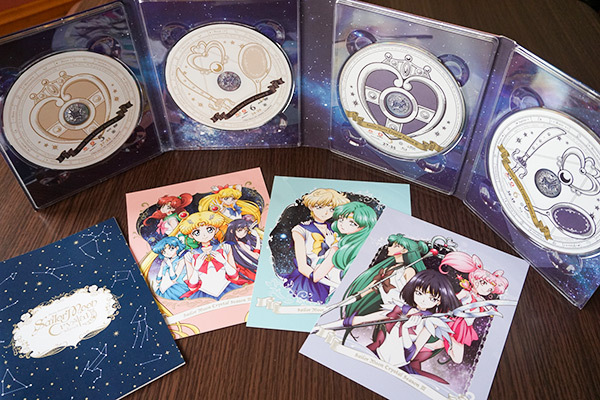 There’s also 3 pretty art cards which were the original covers for the Japanese release (they were sold as 3 parts). 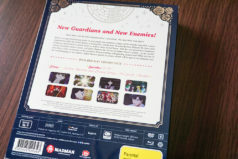 A 36 page booklet is included which has some profile pictures/character sheets and item designs. There are no writing or notes with these however. I appreciate that the packaging design somewhat matches up with the previous two sets. I say that because there’s a lot of things inconsistent about Sailor Moon Crystal as a series. 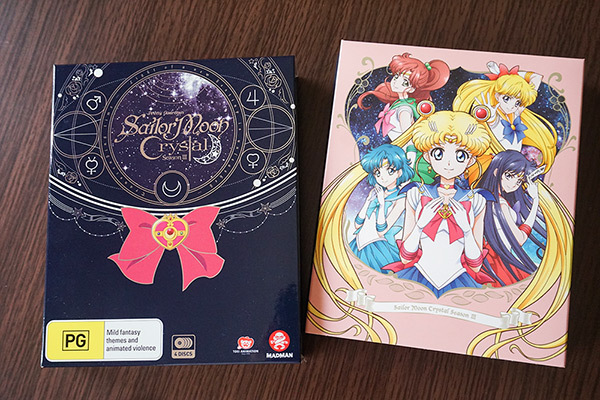 First there’s the title “Sailor Moon Crystal” which covered the first two arcs: Dark Kingdom and Black Moon. It was never considered as two separate seasons (naming wise).. yet we get to the next arc and it’s suddenly branded “Season 3”. So why was Black Moon arc never referred to as Season 2? Next we have the announcement that the fourth “season” will be a two part theatrical release and not episodes like everything else. If making it a movie means it’ll be higher quality & budget I’m all for it, but I worry it will feel rushed and not fleshed out as well. Obviously this is too early to tell as we don’t know anything about it yet. The art and animation style of season 3 is completely different to that of season 1 & 2. With an abundance of complaints & mixed reactions from fans regarding the first two seasons, it seems Toei Animation figured drastic changes had to be made. With a new director on board, the 3D transformation sequences have all been removed and reverted to 2D animation. The Sailor Senshi’s instantaneous attack sequences are now stock footage replayed over and over like the 90’s anime. Some love it, some hate it. Personally, I think there’s pros and cons with both versions but in general it’s a step in the right direction. Even if it’s two steps forward, one step back. I thought the art style in season 1 & 2 had a lot of potential, but the execution wasn’t great. 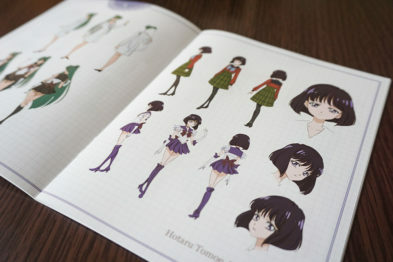 It was closer to Naoko Takeuchi’s manga style with a soft colour palette, flowing hair and fuller lips. However, all the anatomy errors were very distracting and the lack of facial expressions made the characters feel flat and one-dimensional (even with the fixes in the home release). The 3D transformation sequences weren’t terrible, but it felt out of place for me. Some of the special effects looked cheap (*cough* water *cough*) Again, good intention, but a not-so-great execution. Season 3 addressed a lot of that, adding in a lot more variety of emotions and making the animation more fluid. Yet the art style made them look younger and more childish. It lost it’s uniqueness and feels more like “PreCure”. Especially with the series having a darker and serious tone, I wish they hadn’t gone down this route. 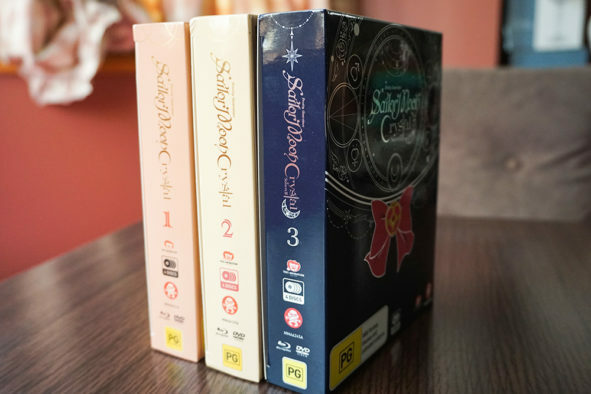 For me, it’s about striking the perfect balance between both versions: Keeping Sailor Moon’s unique manga style, drawn and animated beautifully without anatomy oddness or compromising character’s depth and emotions. All I can say is, it’s extremely difficult to please everyone with a reboot, especially with a franchise so dear to so many of us growing up with the show. Weighing the pros and cons, season 3 is definitely a huge improvement in terms of story telling, animation and art quality. I can only hope it’ll continue to get better! What are your thoughts on Sailor Moon Crystal Season 3? Comment below and share your thoughts! Note: This is the Australian/New Zealand release of Sailor Moon Crystal Set 3 Limited Edition, kindly provided by Madman for review. Opinions are my own. 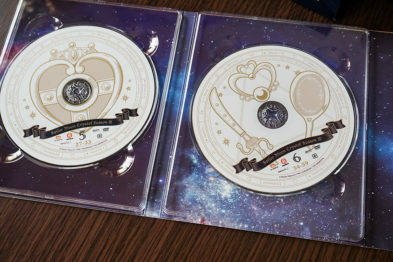 The Blu-Ray is Region B. DVD is Region 4. If you’re interested in getting a copy, you can order it here. 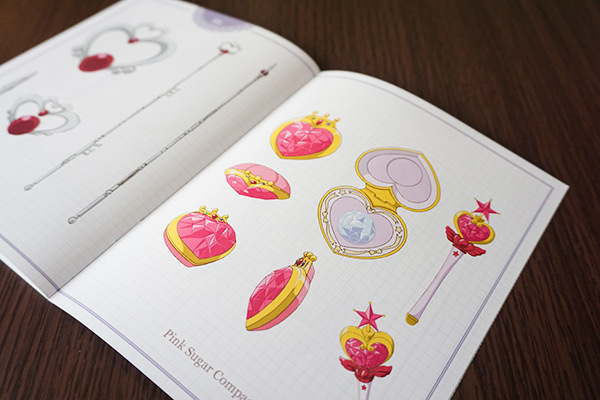 For more links to other merchandise, check out this Sailor Moon Shopping Guide! Having just finished watching the US DVD version a month or so ago, I liked this season. This is probably my favorite story arc of Sailor Moon. That doesn’t look like Crystal. That looks like the 90s’ original.